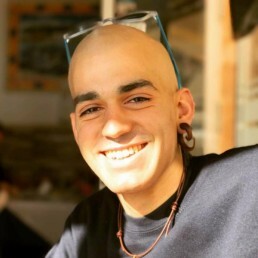 Pablo Raez, the 20-year-old from Marbella whose social media posts and videos brought his fight against leukemia to national attention and prompted a huge increase in blood and bone marrow donations, died at home on Saturday. Spanish Prime Minister Mariano Rajoy, Hollywood star Antonio Banderas along with thousands on social media, paid tribute to Pablo, whose funeral took place in Marbella on Sunday. Mayor Jose Bernal announced two days of official mourning in the town and both Malaga and Marbella FC, as well as Trocadero Marbella Rugby Club, held a minute’s silence for him before theie games. Diagnosed with leukemia in 2015, Pablo’s inspirational video blogs and Facebook posts charted his fight against cancer. The videos campaigning for more blood and bone marrow doners went viral, making him a household name in Spain and led to a huge increase in donations. Pablo was due to receive the Marbella City Medal in recognition of his acheivements, in a ceremony on Tuesday. The family will be awarded the honour at a later date. Pablo may be gone, but his amazing legacy, his motto “Always Strong” and his bone marrow donation campaign will continue to help save other lives. RIP Pablo. A true Marbella hero.